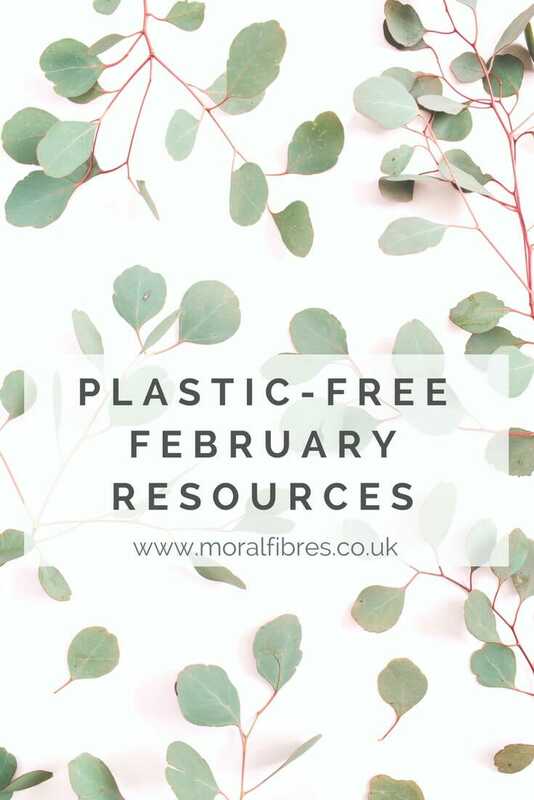 It’s Plastic-Free February, so in honour of this I’ve been rummaging through the Moral Fibres archives, and dusting off and updating old posts, to bring you a list of potentially useful plastic-free February resources, if like me, you are trying to take steps to reduce your plastic usage. Eco-friendly alternatives to cling film to help you stop buying the plastic stuff. How to make your own beeswax food wraps. There’s plastic in your tea – and plastic-free alternatives to teabags. How to dry mint leaves for tea – I’m still working my way through my batch from summer. Skip the bagged salad – here’s how to grow snow pea shoots indoors for the princely sum of 13p. How to minimise your use of plastic in the bathroom – updated for 2018! How to make reusable cotton wool pads – say bye-bye to disposable wipes or single-use cotton wool pads! 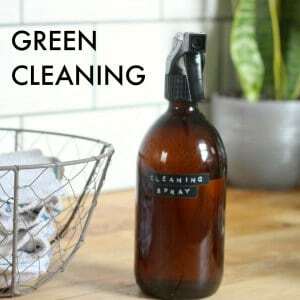 Eco friendly alternatives to glitter if you just can’t live in a world without glitter. How to use reusable nappies – they’re not as scary, difficult or yucky as you might think! Surprising items that contain plastic – chewing gum anyone? How to stop junk mail – that barrage of unwanted plastic that comes through our doors every day. Are you taking part in plastic-free February? 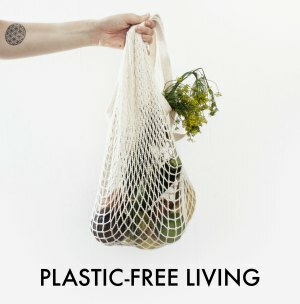 If so, do share with me your top plastic-free tips, or what hurdles you’ve encountered, or any other useful advice! I do try all year round but sometimes it is a losing battle. My big bugbear is those plastic charity bags which seem to arrive almost daily or did till I wrote a postcard and put it in the window next to the front door level with the letter box but some of the delivery people obviously can’t read or just want to get rid of the required bundle and go home but I don’t get as many now. I am using or have tried many of the ideas you mention and some of them are old hat to someone my age anyway such as using cloth nappies which can then be used as floor cloths for years after the baby has grown up! It is an ongoing battle though and even eco friendly companies do use a certain amount of plastic as our veggie box from Riverford does for salad leaves etc but it is good to see that they are looking into ways and means of reducing their use and we can at least return all packaging to them for recycling (our council doesn’t reclycle plastic bags etc). Keep up the good work – I find your blog really interesting and informative. Hi, have you tried “Who gives a crap” toilet paper though? It’s really good quality – we are a family of 4 – 2 adults and 2 teenage girls and a packet of 48 lasted us just short of 6 months! I bought it to try and my sceptical husband was more than agreeable when it came time to reorder. We use the tubes for seedlings and the paper for paper plant pots or crafting. I don’t work for them – just a fan! Great, thanks for the re-cap. I’ll try out your zero-waste crisps recipe. On the subject of replacing cling film with beeswax cloth, I keep meaning to make some, but have other projects on the go. However, I don’t feel I need it to save food in bowls as I just sit a tea plate on top of a bowl, then I can stack another bowl with a plate on top, just like we always used to at home – simple. I think I’ve only once seen this suggestion once on social media. 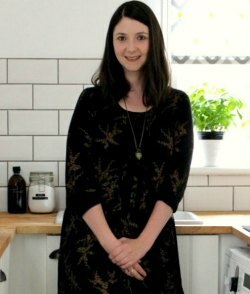 Lately I’ve been thinking back to the plastic-free food shopping ways of my 1970/80s childhood (I’ve been blogging about this) and I was amazed at how much has changed. Not only did there not seem to be the need for ubiquitous plastic, but our shopping habits were different. I now try my best to shop like an old-fashioned housewife (like my mum and my Nan)! Always good to be inspired to reduce plastic so thank you for this article. I sometimes batch-cook which unfortunately involves loads of small plastic food bags. As an example yesterday I cooked a half leg of lamb, sliced, portioned into food bags then into the freezer. Any ideas please of how to avoid using all this plastic? Alternatives such as glass boxes are very expensive and then of course needing the space to store them. Thank you for a really easy to use overview – have shared your glitter suggestion and chewing gum insights with my daughters and they were quietly inspired and aghast at your revelations! Going plastic free is almost game-ified in our household – it is something that we talk about and muse over as we go about our daily routines. Always thinking of different approachs and ways to minimise harm. In the back of my mind, I always knew plastic was an issue & have seen David Attenborough many times delivering his thoughts on plastic waste. Not being one for purchasing bottled water or drinking pop, I didn’t really make the connection (stupidly) and was very much of the attitude that it didn’t effect me, it wasn’t a habit I needed to change. I then watched A Plastic Ocean, on Netflix. I was stunned….I’m still stunned. I watched it back to back twice, as I couldn’t believe what I was seeing. It was like suddenly ‘seeing the light’….of course this was my problem, just because I don’t drink bottled water or pop the extent of plastic in my house was horrifying. 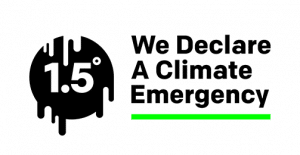 From that moment on I have made the vow to replace things (when needed) with a plastic free alternative where best I can. I have been in this journey for only a week, but am addicted to everything plastic free. Luckily I have a dairy farm near me who have a raw milk vending machine and you can buy glass bottles. The best milk I have ever had. I went to the butcher and had them put meat in my (pre-owned) plastic tubs, I also have a weigh-house, so again grains, pasta, sugar etc all go in my plastic tubs. In a week, I have not purchased one item which came with plastic. Today I took delivery of my Who gives a crap paper products. This journey has taught be, its hard, it’s not cheap but also how to go back to the good old days and shop locally and also to simply buy what you need. I am focused and on a mission! I will enjoy reading this blog for all the tips and tricks.